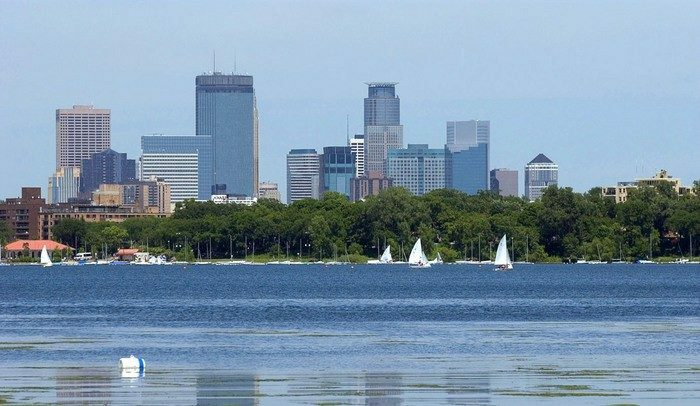 Neighboring Minneapolis and St. Paul, commonly known as the Twin Cities, form a large metropolitan area and are among the most livable cities in the United States. 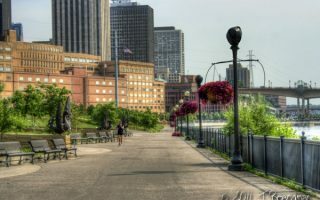 With extensive lakes, paths along the Mississippi River, large parks, and pleasant residential neighborhoods, running in Minneapolis-St. Paul is a pleasure. Minnesota is informally known as the land of 10,000 lakes and running around a lake is a classic Twin Cities training run. The Twin Cities Marathon is claimed to be “The Most Beautiful Urban Marathon in America”. Our favorites include the famed Chain of Lakes run, the Minnehaha Parkway, paths along the Mississippi. 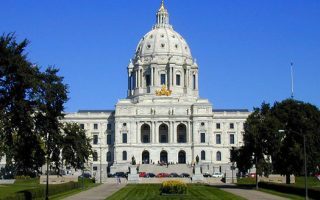 In St. Paul, Lake Como is beautiful and we’ve also mapped out a tour of the Capitol and Summit Avenue. 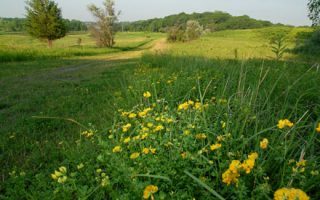 For park-like running, enjoy Fort Snelling State Park and Hyland Lake Park Preserve. 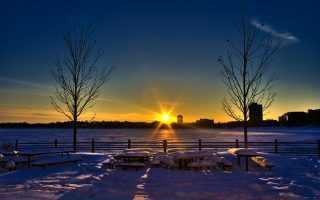 Weather in the Twin Cities can be extreme; summers are hot and humid, and winters can be brutally cold. There there good public transport in the Twin Cities, consisting of an extensive bus and light rail system. This route features three beautiful lakes within a fairly small area. The loop around each lake is 3–3.5 miles and a great option for a longer run is to combine all three for an 11-mile loop. 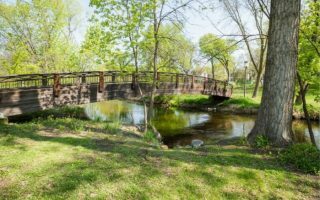 This scenic pathway stretches from Lake Harriet to Minnehaha Park from west to east. 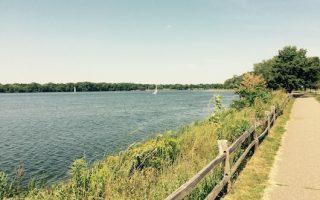 We recommend the 7.4 mile lake loop, including Lake Nokomis and the Minnehaha Parkway. The paved paths go along the historic and mighty Mississippi River from the Ford Bridge to the Washington Bridge. There are plenty of bridges along the way, making for good loop options. Arguably the best choice for a lake run in St. Paul. The loop around the lake is 1.7 miles and for the longer run, connect to the trails in Como Park at south. Summit Avenue stretches from the Mississippi River in the west towards St. Paul downtown. The tree-lined street and path passes the most prestigious homes in the city. Nice option to add on a jaunt to the State Capitol. One can put together an interesting run in downtown St. Paul. Enjoy a jaunt along the Capitol mall and the pretty residential area to the east. Also several paths under the bridges: Upper Landing Park on the north side and Harriet Island Park on the south side. A pleasant 3-mile paved path around the perimeter of this lake, located in northeastern St. Paul. There are water views for a good part of the loop. It is quite hilly in sections! Add another mile with a loop around Round Lake! Beautiful park located near the airport. 18 miles of paved and gravel running trails including a great 3.6 mile route from historic Fort Snelling and around Pike Island. Located in the heart of Bloomington, about 15 miles southwest from Minneapolis downtown. Offers great scenery of prairie landscapes and a major body of water. Various trails and options. 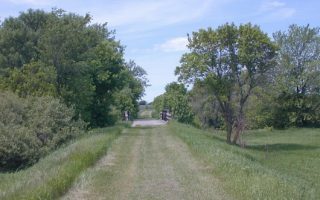 63-mile 'rail trail' is a great way to access some of the beautiful countryside from near MSP. Combination of surfaces and terrain, from woodland to open fields. Runs from Plymouth to Cedar Mills, though there's access in Theodore Wirth State Park. 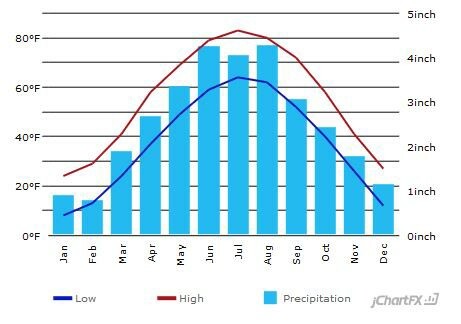 The Twin Cities has a climate of extremes. Summer temperatures are comparable with other nearby major cities, such as Chicago. Temperatures from May to August are warm to hot with very high humidity. Winter temperatures, in turn, can be very cold and well below Chicago’s averages due to arctic air masses blowing from Canada. Average high temps in January are in the 20s and lows are in the single digits. Wind chill values can be dangerous. You fill have to factor in cold temperatures and icy surface conditions into your running plans. Autumn and spring are the windiest times of the year in Minnesota. 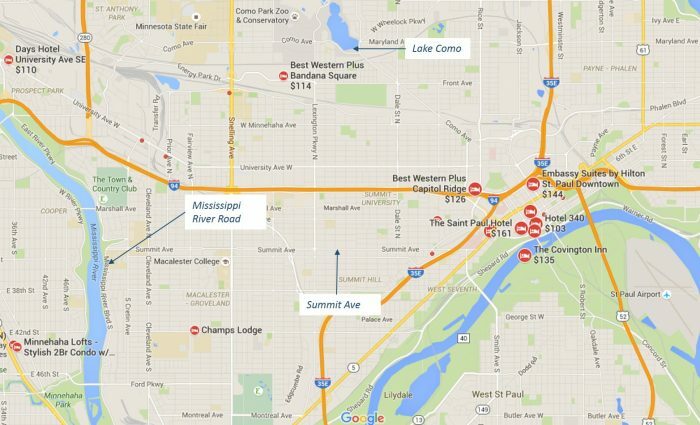 The are lots of hotels in downtown Minneapolis, with access to Mississippi River Road. The Northern end of the Chain of Lakes is also within two-mile radius. 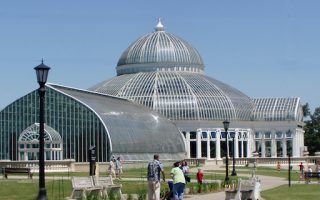 If staying in St. Paul, the eastern end of Summit Avenue and the State Capitol are just around the corner from downtown, and Lake Como is around 3 miles northwest. 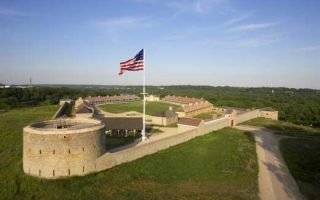 Access to Fort Snelling State Park is within close proximity to the Airport hotels and Pike Island loop is at the northern part of the park. 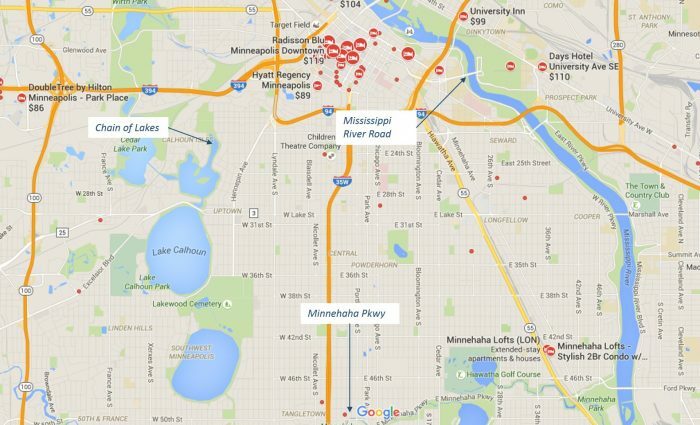 The maps below show concentrations of hotels near major running routes. Gear Running Store. Family owned and operated running store with over 30 years heritage. Great customer service and knowledgeable staff. One store, located less than a mile west from Chain of Lakes. Group runs around the Lake Harriet with post-run snacks taking place on Wednesdays at 6.30pm and Saturdays at 9am. Fleet Feet Minneapolis. Many locals know this also as Marathon Sports, which has served runners of all levels already for decades. Currently operating under the name Fleet Feet Minneapolis, but still having the same great customer service and knowledgeable staff. Located at the southern end of Lake Harriet. TC Running Company. Two locations in the outskirts of the Twin Cities, at Eden Prairie and Maple Grove. Knowledgeable staff and one of the best running shoe selections in town. Has group runs in Maple Grove. Twin Cities Running Club. Non-profit, comprehensive running club to improve your running and make new friends. Aimed for runners of all levels and has multiple group runs each week. Membership for individuals $25 per year. Tailored running programs $35-$75 for members, $60-$100 for non-members. Minneapolis Running. More virtual community but still with very local focus. Offers lots of interesting content on their website, plus a newsletter subscription, live running chats, challenges and meet-ups. The Twin Cities Marathon. The main running event in the area and promotes itself to be “The Most Beautiful Urban Marathon in America”. 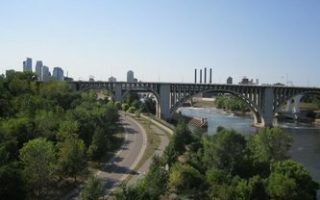 The route goes through many of places mentioned above: around three Minneapolis Lakes, alongside the Mississippi River, and finishing along Summit Avenue. First weekend of October. Great River – Ragnar Relay Series. Part of the popular Ragnar Relay Series established in 2004. Teams of 6 or 12 members competing in a relay. Start at Winone on the banks of Mississippi. Includes both rural and urban running. Get in Gear. Annual event about to celebrate their 40th anniversary. Offers something for every runner, featuring 2K, 5K, 10K and a half marathon. Takes place in April. Hot Dash. Taking place in March, featuring 5K and 10 miles. Suitable for beginners and competitive runners alike. Has one of the top post-race beer gardens in the America.